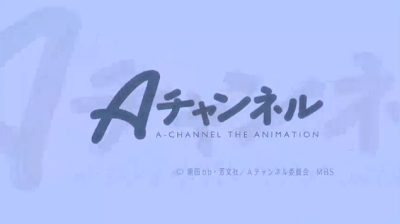 We continue our look at the newest anime shows for Spring 2011 with A-Channel, a slice-of-life manga from bb Kuroda that has been animated by Studio Gokumi. In 2002, Azumanga Daioh, the four-panel manga that finally convinced otaku that yonkoma comics can be moe, ended its run in Dengeki Daioh and on television screens. The next year, Manga Time Kirara Carat, a comic anthology magazine devoted almost exclusively to moe yonkoma comics, began its run. Since then, the magazine has had a series of uber-successful franchises, mainly in the form of K-On!, Hidamari Sketch, and Dôjin Work. With that comes the launch of the latest anime adaption, A-Channel, based on the serial from bb Kuroda. For second-year high-school student Run, life is a mindless chase after the butterflies, enjoying her classroom activities with her friends Nagi and Yûko. 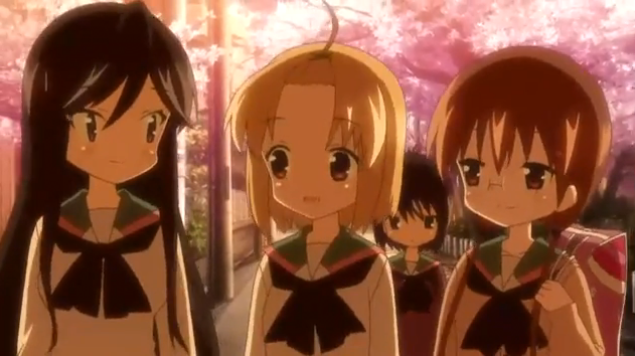 However, Run has left another friend in a little bit of a lurch—the petite Tôru is elated to finally be in high school with her older friend Run, but she's having trouble accepting the situation, chasing off boys with an aluminum bat and giving death-stares at Nagi and Yûko. Run, however, reassures Tôru that nothing has and will ever change between them. And...that's about it. Tôru obviously has issues when it comes to making friends, while Run obviously has issues with intelligent thought. The comedy is expected to come from all that. If you ask me, that's a bit too vague of a "slice-of-life" concept, and it's a little hard to understand the selling point of A-Channel. Unlike Nichijô, the funnier cousin for the season, there's nothing that really makes A-Channel distinct. There's some nice animation when it comes to aesthetics, but the average animation takes a step back when computers are used to produce the background. There's just too much obvious clashing between regular and digital animation. Nothing spectacular to grab the viewer here, as Studio Gokumi (Koe de Oshigoto!) has yet to test themselves in animation. Aren't we getting a little tired of how the same quartet of yonkoma girls can be used over and over again? There are so many that fit this pattern who have already come before, so a show that involves them doing little to nothing doesn't seem to really have the charm that a K-On! or Lucky Star might have. A few points could be scored with Tôru being so infatuated with Run, but Run's ditziness just leaves me shaking my head. Well, we do get some good music for the series. Satoru Kôsaki has an extensive resume and has provided some excellent background music in shows such as Kannagi and the Haruhi Suzumiya series. At least his music is capable of making the show feel breezy and gentle. The opening and ending themes, "Morning Arch" and "Humming Girl", are light and fitting of the show's airiness. If you're going to fault the series, it's definitely not in the music. There wasn't much coming from A-Channel in terms of hype, even though Aniplex is involved in its production. Director Manabu Ono has been involved in only a handful of under-the-radar shows (Dragonaut, Saki), and only two volumes of the manga have been released so far. No streaming outlets have picked the show up for screening in the United States, so there doesn't seem to be much demand for it either. For the most part, there's nothing to really detest about an innocent show like A-Channel, but there doesn't seem to be much to praise it for either. 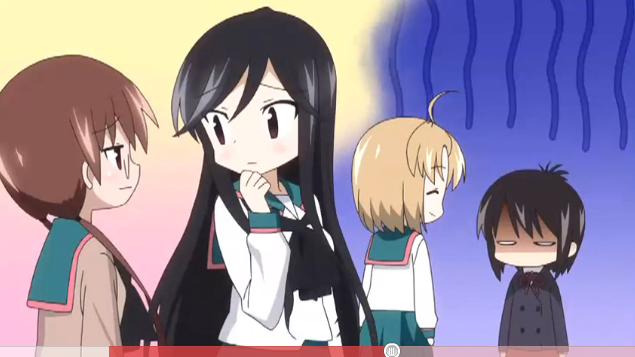 Why animate another show about four girls chirping about very little? 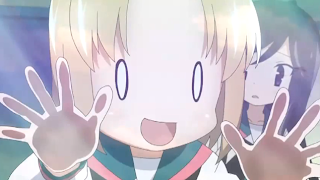 The comedy is occasionally flat, and Run seems like just another clumsy Tsukasa from Lucky Star. A-Channel may appear friendly as a manga, but the show stitches all its vignettes together and tries too hard to smooth the wrinkles out into a fluid show. Awkward and a little deflating, A-Channel just doesn't have anything on its menu for fans to digest. Gah. My mind is mush from the weekend.